cut off the ends from the slices of bread(my younger ones call it d back of bread. 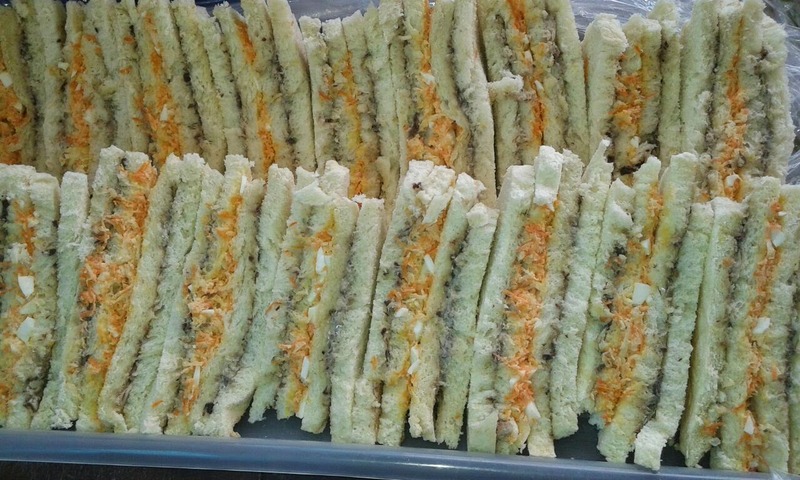 Take one slice of bread, put the margarine and sardine mix on one side of it and cover with the second slice of bread. Repeat the above step with the remaining two slices. By now you should have two separate slices of bread that are stuck together by the margarine and sardine mix, then, use the vegetables mixture put on one slice. Use the second slice and cover it. Club sandwich ready to eat. In place of sardine, you can use conbeef.